Ever since I was little I have had passion for baking sweet treats! I remember having so much fun baking cookies, cakes and other goodies growing up in y Easy Bake Oven. While baking can be fun it can also be messy, especially when kids are involved. 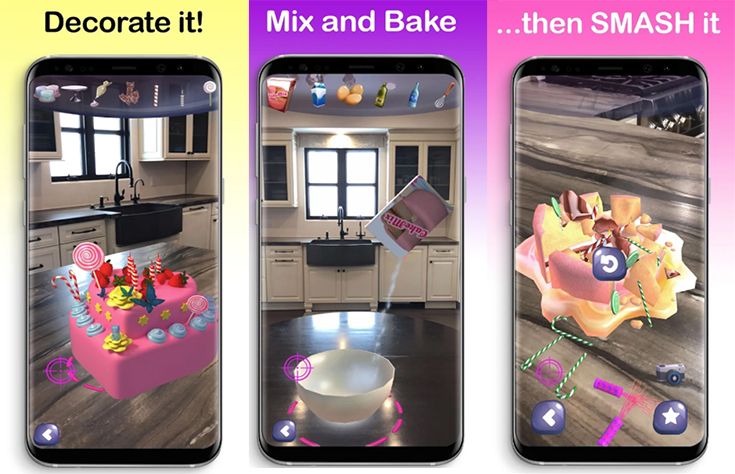 If you have a child that LOVES to bake but don’t want to make a mess in the kitchen you can install the NEW AR Cake Baker App from VR Littles that allows your child to use their imagination and creativity with interactive baking using the magic of augmented reality. 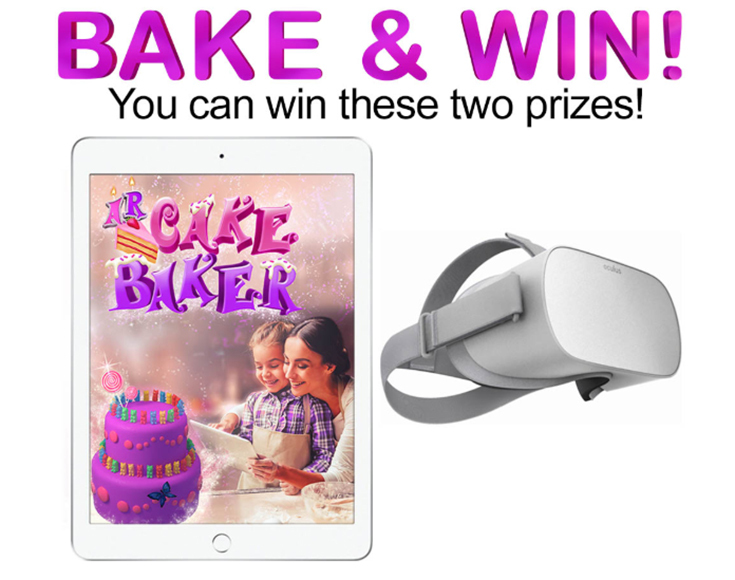 AR Cake Baker is the perfect way to encourage and develop the artist in your child while they play in an amazing new world where virtual objects appear in real life! 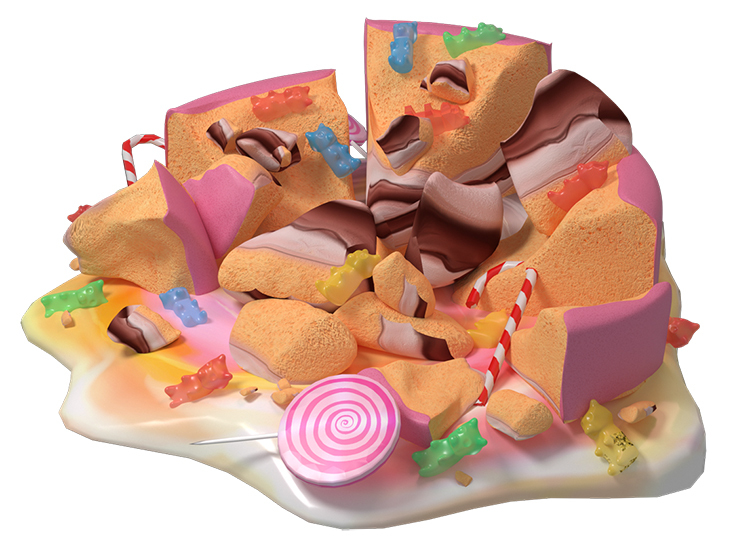 Kids LOVE technology and will have fun playing with this app that allows them to create cakes in a 3D environment. When making your cake you can choose icing, colors, toppings and decorations. You can even write messages for someone special. My whole family enjoys technology, especially playing with apps and games on our phones and tablets. 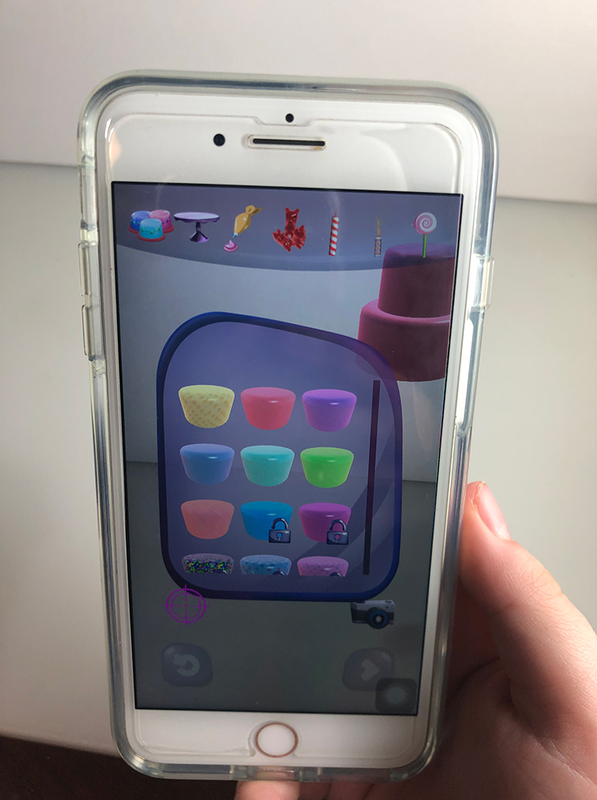 Since my kids love testing out apps and games for me I had my two youngest play with the app over the weekend and they liked the idea of being able to create the cakes and see a real world background at the same time. My son thought it was funny being able to smash a cake on his bed in his room. When you are done making your cake there is the option to eat or smash it! They really liked the option of SMASHING the cake when they were done without having to cleanup a mess! You also have the ability to TAKE photos of your cake baking fun too! The app is FREE to download which allows you to make and decorate a cake but you can upgrade for even more options. Today is my oldest daughter’s birthday. 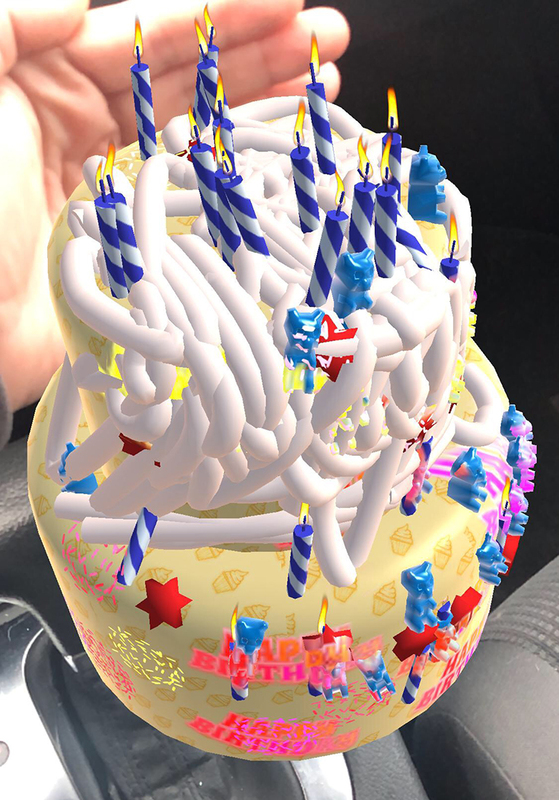 My son thought it would be a great idea to create his sister a cake in the car on the way to school that he could screenshot and send to her in a happy birthday text message before heading off to school. He definitely got creative with the candles, frosting and gummy bears. I think this is a really cute app idea for parents with children that want to bake. It is delightful and fun for kids of all ages. I even made my own cakes with the app that I could SMASH! Tap to eat, smash, or blow the finished dessert away … with no mess afterwards! Ready to download this new app and start baking? 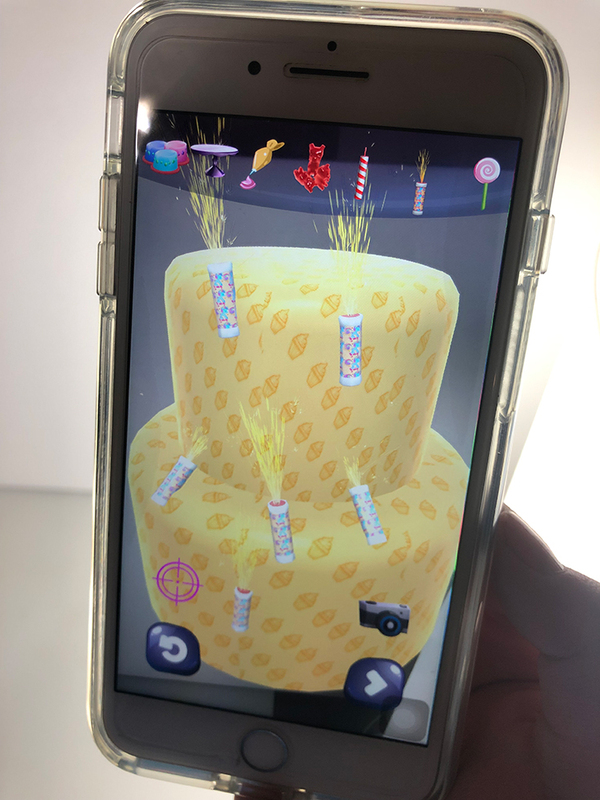 The NEW AR Cake Baker App is available to download for FREE in both the App Store and Google Play.